If you are looking for improved performance and efficiency, choose a truck and large equipment modified downdraft paint booth for your finishing department. Air is drawn across the equipment you are painting and then is exhausted through the filters at the other end of the spray booth. This model filters the air twice before coming into the cabin area to insure clean fresh air for your painting process, which means smoother paint jobs thanks to an even airflow. 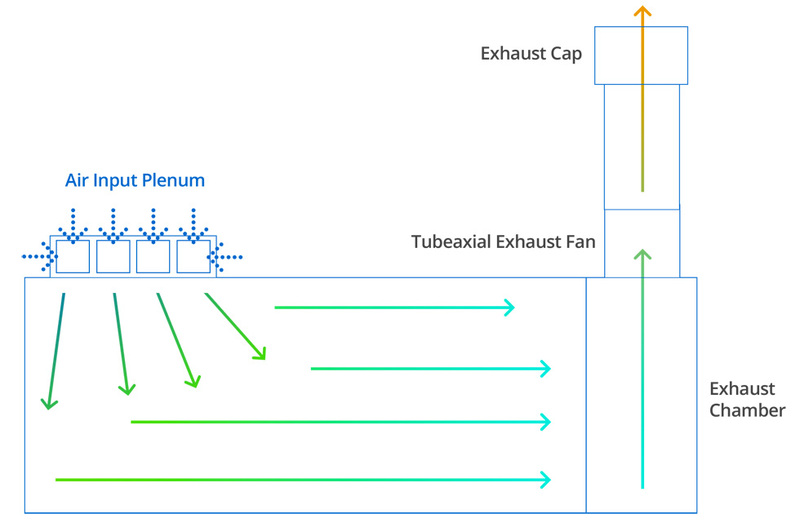 As a standard, all our down draft style booths are equipped with a pre-filtered plenum. As an option, we can pressurize the intake plenum with an ambient air fan or air heated air replacement unit depending on your specific application or requirements. Be sure to check out the options tab below for more available options. 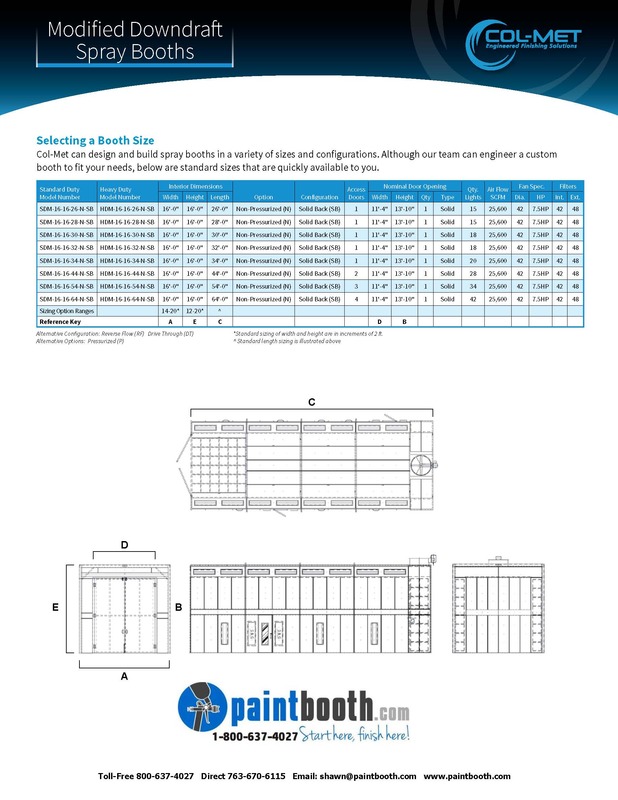 Our standard truck and large equipment modified down draft paint booths are built with W8X10 I-beam construction. We do not offer a light duty design like others in the market place today. The cost savings is not worth the lapse in HD construction and quality. These booths are offered in many standard sizes but can also be customized to meet your needs. 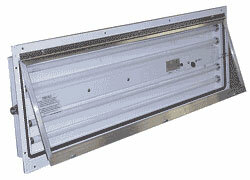 Also, available in pressurized, non-pressurized, reverse flow, solid back and drive thru models. 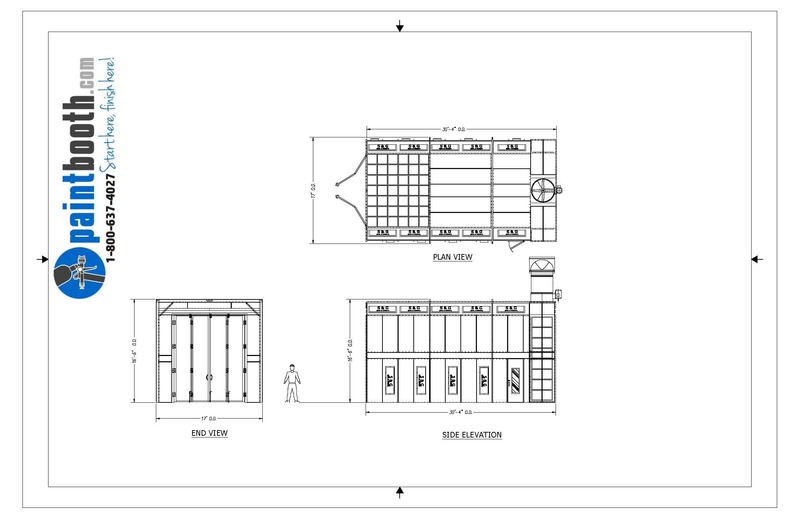 We also have double wall insulated truck and large equipment booths available in all models. 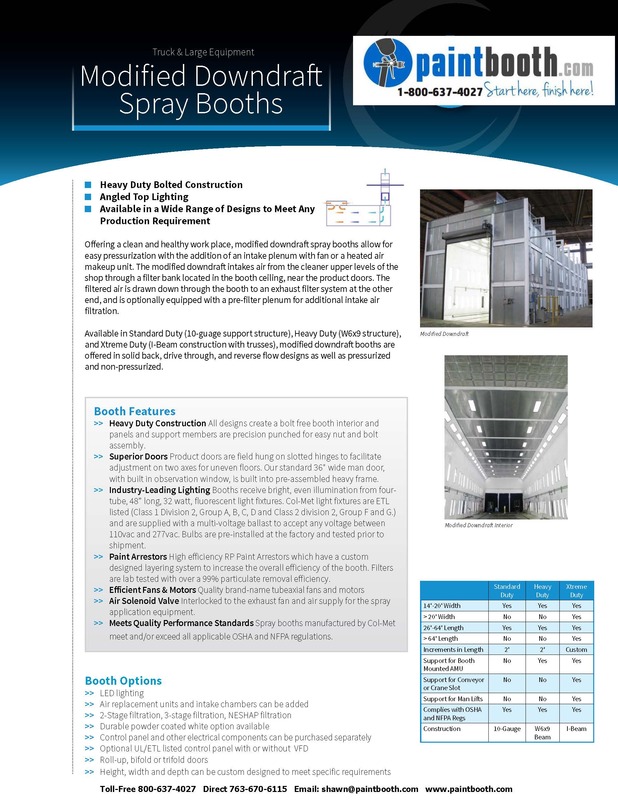 These booths are constructed with HD I beams and two layers of 20-gauge pre-coated sheet metal. 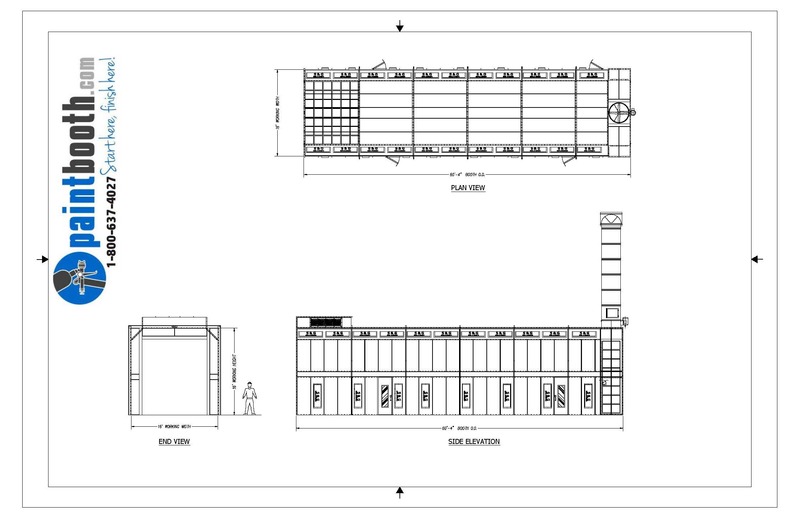 Our factory trained installation crew can get your new Truck and Large Equipment Modified Downdraft Paint Booths installed correctly and quickly.